SALEM, Ohio — With nearly all of the crops have been harvested, the attention is shifting from this year’s harvest to the amount of soil moisture and lingering effects of this year’s drought. The good news is the soil in Ohio and Pennsylvania may be in better condition than the soil in other states in the Corn Belt. According to the National Agricultural Statistics Service, volunteers reported that in Ohio, the topsoil moisture level is 3 percent very short, 12 percent short, 71 percent adequate, and 14 percent surplus. The U.S. Department of Agriculture released this soil condition report Nov. 26. And in Pennsylvania, the soil moisture is rated 0 percent very short; 0 percent short; 95 percent adequate and 5 percent surplus. Meanwhile, Indiana reported their topsoil moisture 2 percent very short; 11 percent short; 80 percent adequate and 7 percent surplus. The subsoil moisture there, however, is 11 percent very short; 28 percent short; 58 percent adequate; and 3 percent surplus. 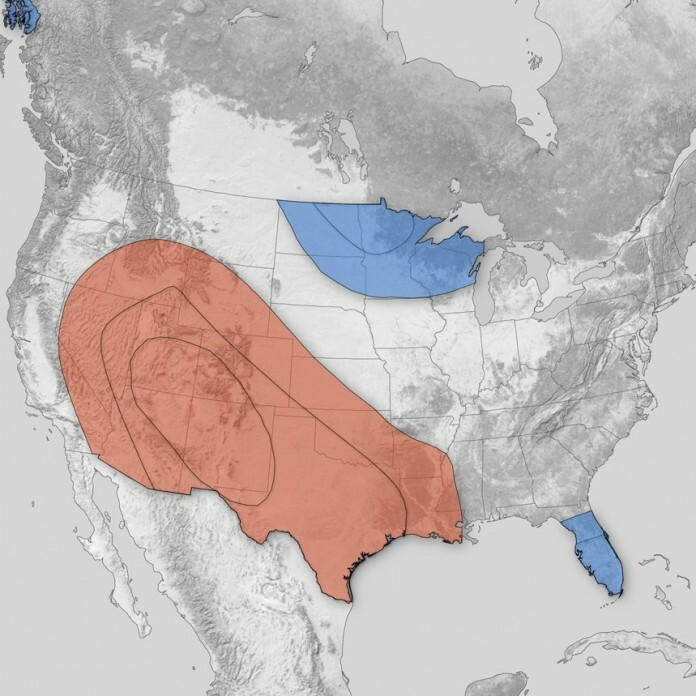 Jason Nicholls, a meteorologist with Accuweather, said there is more reason to be concerned about soil moisture in the western part of the United States than in the eastern Corn Belt. He expects drier conditions in the West than in Ohio or Pennsylvania. Nicholls said the models he has examined show that Ohio and Pennsylvania should pick up a normal amount of precipitation this winter, which will help to restore the lost moisture from this summer. He said, however, there are some lingering pockets in the western portion of Ohio that remain in the drought status, but those areas should improve by spring. “The moisture should return and the soil will be ready for spring planting,” said Nicholls. Rafiq Islam, a soil scientist for the Ohio State University Extension, shared some data he collected from across Ohio. He said in sandy soils, the moisture level is around 5 percent to 6 percent. In the western part of Ohio, it is rated below 4 percent. He said it usually runs between 15 percent to 16 percent. In clay soil, soil moisture is running between 7 percent to 10 percent. It is usually between 28 percent to 30 percent. Islam also reported that plowed or tilled soil showed more drought effects than fields where farmers used no-till practices. “In no-till soil, the drought effect was relatively less,” said Islam. He explained that one farmer participating in a study had a yield of 153-160 bushels of corn per acre using no-till practices and cover crops. The neighbor’s field yielded less than 100. Islam explained the cover crops acted as mulch, which minimized sunshine reflection from the ground and acted as insulation to help control the loss of moisture. He also said the no-tilled ground and use of cover crops generated more organic matter, which helped to hold more water for a longer period of time. Islam said after the drought this summer, most of Ohio has experienced good rainfall and is expected to receive a good amount of snow, which will help to establish moisture levels back to normal. One thing Islam feels farmers should consider in the future, besides using no-till methods and cover crops, is supplemental irrigation. He says the data supports climate change and farmers need to prepare for it if they want to continue farming. “Supplemental irrigation should be considered by all farmers in the future. The climate is changing. We can’t deny that,” said Islam. While Ohio and Pennsylvania appears to be out of the woods for low soil moisture levels, the same is not necessarily true for the rest of the Corn Belt. According to NASS, most Corn Belt states are still in drought conditions, with very low levels of top soil moisture and general absence of moisture in the subsoil. The issue now becomes whether there is enough moisture for the winter wheat crop, and that is questionable. The wheat crop in Nebraska, for example, is falling behind. Due to short soil moisture supplies, winter wheat emergence continues behind average with thin and spotty stands reported. The winter wheat crop rated only 14 percent in good condition, which is the poorest rating since 1990. Nebraska continues in extreme drought with soil moisture profiles depleted. During the past 60 days, the western two-thirds Nebraska received less than one inch of precipitation. Statewide, the topsoil moisture rating is the lowest for this time of year since 1999. In Kansas, the report from NASS showed that the soil moisture levels remain low there, too. And in Iowa, 94 percent of Iowa is experiencing short to very short subsoil moisture levels, the driest Iowa’s subsoil has been at the close of the third week in November since 1999.